I don’t know about you, but I love working on my solopreneur biz. But I also want to have a life outside my business. It takes a lot of time and dedication to start and grow a small business, but there are things we can do to make sure there’s time left for fun, family, and pesky life-stuff like household chores. The key is to make the most of the time we have. 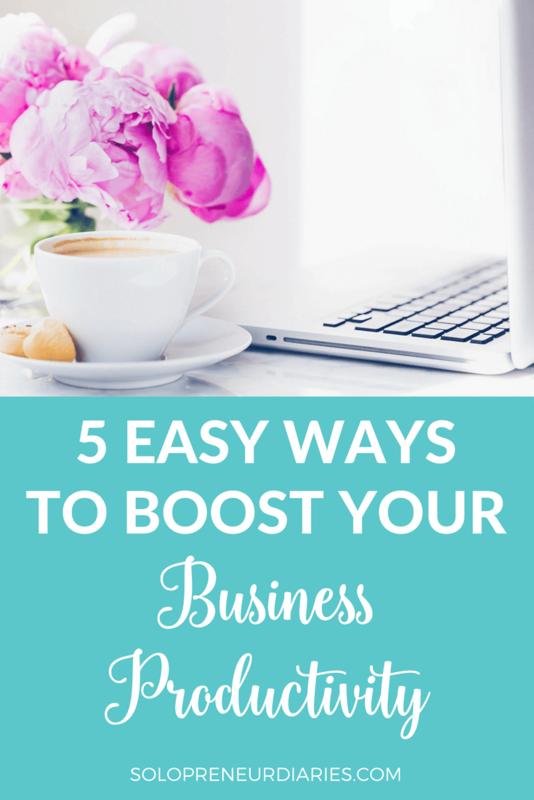 Here are five easy tips for improving business productivity, so that you make every minute count. Track your results – what’s working and making money? How do you start tracking? When you are working on increasing business productivity, then you are trying to be both more effective and efficient. In order to work effectively and efficiently, you must have a crystal clear picture of what you’re doing. 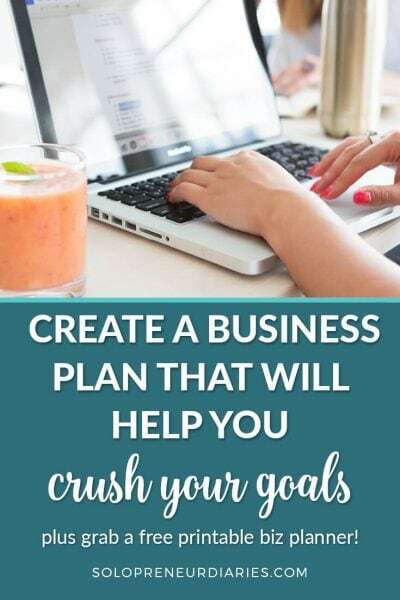 The first step is to map out your entire business. Once it’s all laid out in front of you, it will be easier to see what you should be working on next. Also include any other assets you have in your business. The level of detail you go into is up to you. Plain old pen and paper is a great way to do this. Spread out at the kitchen table or on the living room floor with a notebook or kid’s sketchbook and draw out everything you have working for you in your business right now. If you prefer to keep it digital, mind maps are a great option. There are many free mind-mapping programs out there. I like Bubbl.us, but I’ve also used Wisemapping. Once you have everything mapped out, walk away and let it sit. Come back the next day and look at your map with fresh eyes. What’s the next logical big thing you need to work on? What will make the biggest difference in your business? Once you know what you should be working on, map out all the steps you need to take to complete each project. Break them down into baby steps. Is there anything you don’t know how to do? Will you outsource it or learn how to do it yourself? Then add those tasks to your daily and weekly to-do lists. This step is so important. Knowing what to do is one thing, but unless you set yourself a deadline, it’s not going to get done in a timely manner (or at all). How you keep your to-do list is up to you. 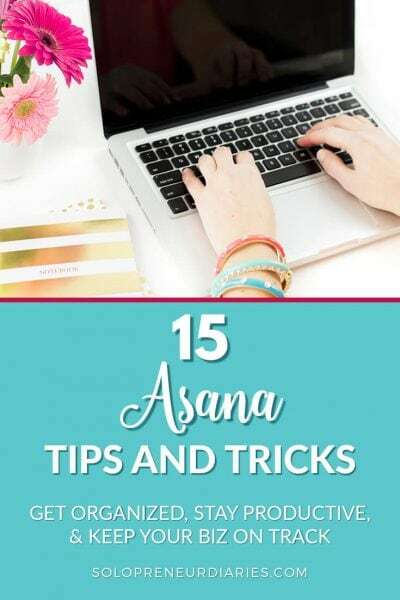 I use Asana, which is a free business productivity tool that works on both desktop and mobile. If digital isn’t your thing, then a notebook is just fine. The important thing is to pick something that works for you. Get in the habit of making out your list for the next day the night before or first thing in the morning. Mark your money-making tasks and work on them first, before you do anything else. As you make out your to-do list, you will start to see tasks that recur on a weekly and daily basis. Use your list and your plan as a guide to start creating routines. 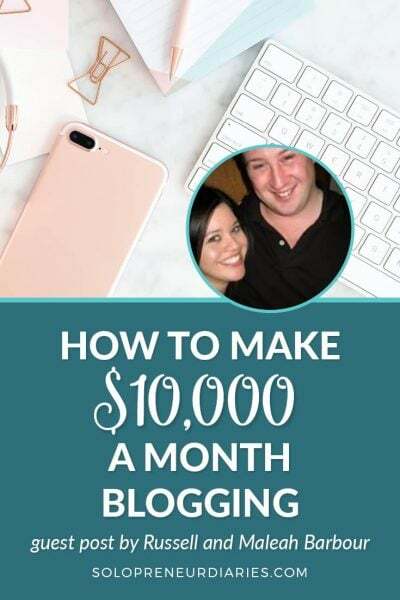 Sitting down and writing a blog post or adding 1,000 words to your book draft become easier once you make them a habit. Routines help us because we don’t have to decide what to work on next. The routine runs on auto-pilot and we keep making progress, day in and day out. For example, I write the first draft of my blog posts on Monday morning. I don’t even have to think about it anymore. It’s part of my weekly routine. However, routines can also become counter-productive, so it’s a good practice to review your routines from time to time and make sure that what you do is still the highest and best use of your time. Just because tweeting 10 times a day and pinning 50 pins is part of your marketing plan, doesn’t mean it’s the best use of your time. Review your results and adjust your to-do list and routines accordingly. Good data is the basis of smart business decisions. Unless you start tracking, you won’t know where your leads or traffic are coming from or what traffic source is most profitable. Without that knowledge, you won’t know where you should focus your efforts. Pageviews – what are my total pageviews for the last 30 days? Top posts – which posts got the most traffic during the month? Traffic sources – what percentage is organic, social, referrals, etc.? Social traffic – which social channels are driving traffic to my site? Next, look at your email service reports. You should be able to find open rates and click-through rates. You can also use a plug-in like Pretty Links to track affiliate offers and other links. 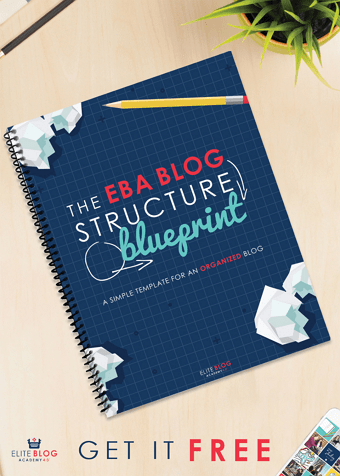 You’ll be able to see how many clicks your links are getting and compare that to conversions. The most important thing is to start tracking. Keep it simple and then use the data you get. Once you start tracking and have some base numbers, it’s time to start tweaking things and looking for improved results. Why is tweaking important? Let’s say you spend some time improving your traffic and get 1,000 visitors to the sales page for your one of your products. If you have a 3% conversion rate – 3 sales for every 100 visitors and if your product costs $20, that’s $600 in revenue. But what if you could bump your conversion rate up to 4% by tweaking and improving your sales copy? Then you have 4 sales for every 100 visitors and you would make $800 instead of $600. What areas should you test and tweak? content – review your top 10 posts. They get the most traffic, so improving them should have a positive ROI. CTAs – do you have a clear call-to-action on every post? Is it working? If not, try something else. A little bit of time spent tracking and testing can make a big difference to your bottom line. If something isn’t working, then don’t be afraid to switch it out. And if something is working, then double down. Have you learned that red subscribe buttons work better than yellow on your site? Make all your subscribe buttons red. Or do you get better open rates if your subject line is a question? Run with that. 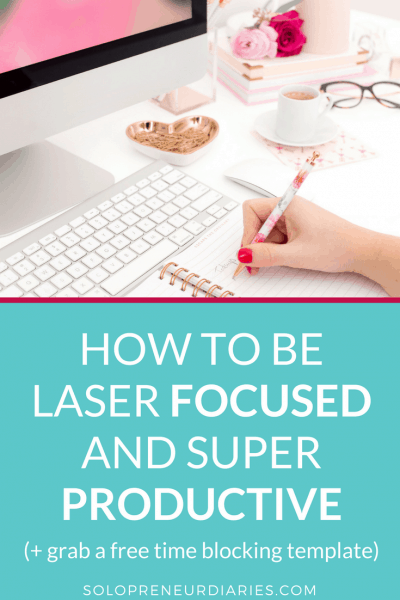 I’ve shared five different strategies that will help you boost your business productivity. Spend some time working on the different areas and improve what you already have in place. And here’s the secret. . .there’s always something else you can improve. Testing is something you can do over and over again. As you grow and learn as a solopreneur, there will always be new ideas to try. Test the new strategies against your existing strategies. 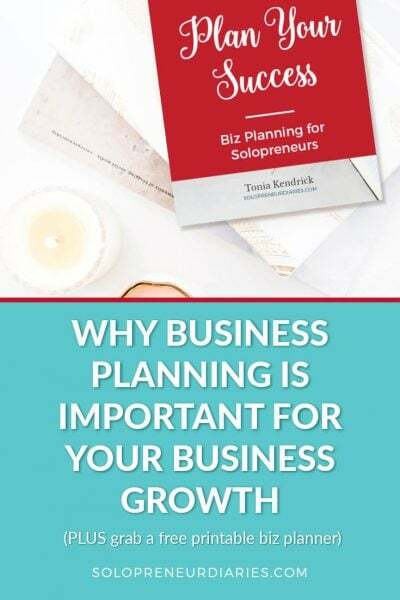 Keep improving your assets, along with creating new products and content, and you will find that you are always improving business productivity. I just started working on mapping everything out and making to do lists on trello. I think it’s going to be a huge help. I didn’t realize I could track the clicks on the prettylink for my optin. Thanks for letting me know. You’re welcome, Brenda! 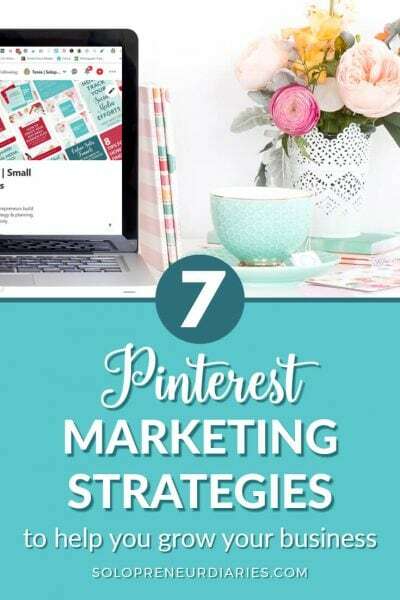 People tend to think of using Pretty Links for affiliate links, but it can be used to track any kind of link.